Kettenwulf offers you a wide, internationally available service portfolio across the entire development chain. In addition to sound advice focused on your challenge, we implement for you the development of new products with high production accuracy and also perform the assembly or assembly support from a single source. As part of after sales we support you with support measures after commissioning. This includes e.g. the monitoring of wear or a coordinated spare parts inventory to make sure you are always well supplied. 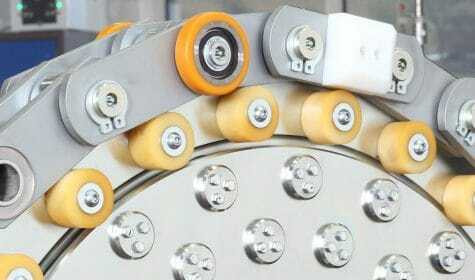 As designer and producer of special chains and sprockets KettenWulf solves customer-specific problems in conveyor and drive technology. Since every customer’s requirements are different, KettenWulf offers mainly individual solutions for most industries. Our engineers and technicians develop special chain systems customised to the specific application environments. The globally high KettenWulf quality is ensured through the DIN EN ISO 9001:2008 certified management and production processes as well as the “KettenWulf competence centre” in Kückelheim, Germany. From here our specialist engineers offer their expertise worldwide for first class product developments. Almost every industry benefits from our know-how. Wherever things are being moved, conveying or drive technology plays a part. And we are experts in the field: We invest our knowledge and more than 85 years of experience in the development of our high quality products to permanently increase the capability and quality of our products. It is an integral part of the KettenWulf philosophy to only supply our customers with the highest quality. To reach achieve this objective, we only use the latest machines and production methods. In addition, quality management and our research and development department are constantly working on further improving the quality of our products. To ensure a consistently high quality of our products at all levels KettenWulf has also taken decision of high manufacturing penetration long ago. Almost all chains are produced in-house by our own employees. 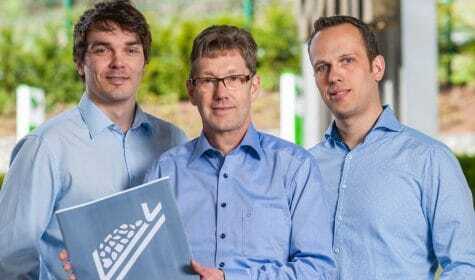 Furthermore, all KettenWulf products are subjected to the same quality requirements – irrespective of whether they are produced in Kückelheim, Ferlach or Hangzhou. Chain link components subject to friction wear are given a wear-resistant surface through case or inductive hardening. For heavy loads the hardening can additionally be preceded by an annealing process. All heat treatment processes are carried out in-house. Inductively hardened sprockets prevent wear in the tooth gaps, ensuring a long operating life between chain and sprocket. 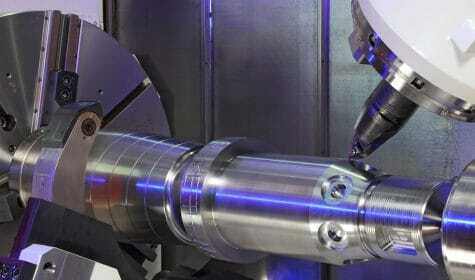 In the field of machining KettenWulf uses the latest CNC technology. This not only permits the turning of bushings, pins and rollers, but also the milling of link plates, sprocket teeth and pitch borings with highest precision. The manufacture of variable designs is possible without problems. This permits the implementation of specific customer preferences quickly and precisely. 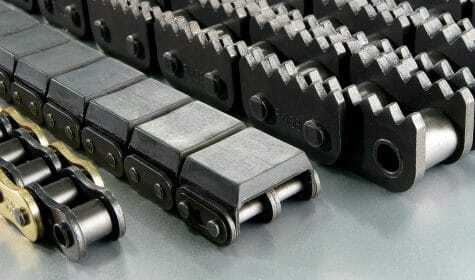 In addition, all bushings, pins and rollers for our chains are polished after heat treatment to narrow tolerances using precise grinding machines to guarantee an absolute perfect fit. A precisely machined surface also helps enormously to reduce wear and noise in a chain when it enters the sprocket. All welding is carried out in our own welding shop. The production uses the latest MIG and MAG methods. To guarantee consistent high precision, we use partly and fully robotic welding systems in the manufacture of our chains. 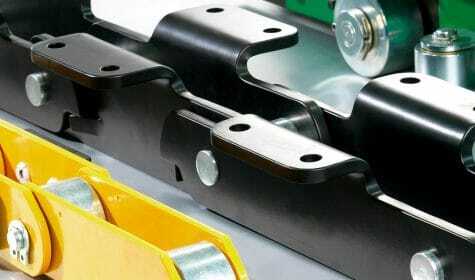 Modern die cutting technology permits the effective serial production of chain link plates and lugs. The required die cutting tools are manufactured by KettenWulf directly. This ensures a very high pitch accuracy for our chains. All link plates and lugs are shot blast after die cutting to further improve their quality. For the production of link plates, requiring highest precision, KettenWulf uses laser cutting technology. This also allows for the manufacture of plate components with more complex contours. In a last step the chain components are assembled in hydraulic presses into complete chain strands. Only after the subsequent final inspection will the products be released for dispatch to our customers.